Fiesta Mexicana 102.3 en Vivo . Also Known as XHOO FM , is a radio station on 102.3 FM in Guanajuato, Guanajuato. 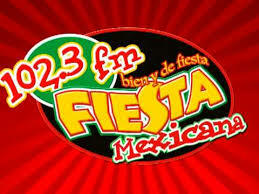 It is owned by Radiorama and carries a grupera format known as Fiesta Mexicana.